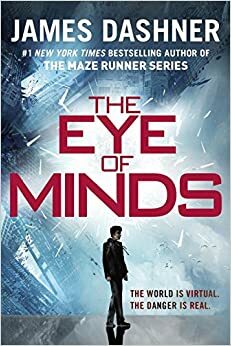 The Eye of Minds is set in the future, a difficult future. One full of poverty and depression. It’s a time with technology far more advanced than we could even dream of. In this time of wonder there’s a machine, some call it a coffin others a box, but all are in agreement that it’s one hell of a games console. It’s a virtual reality so real that you could die in it. Welcome to the Virdnet. Michael, a ten-year old boy is one of the many users of the Virdnet, he’s also one of the users who hacks. Michael and his friends are big time hackers and have some of the best skill around, almost as good as legendary gamer Gunner Skale. Their hacking skills may gain mare attention than they ‘d like, is this a good thing? Teen Rating: spectacular . 3/5 . 13+ .